The Express News bring us an update on former San Antonio Mayor and onetime rising star Henry Cisneros. Henry Cisneros still talks about housing and urban development with passion, about the future of cities and the ways in which immigrant communities can help the country thrive. He still talks politics and remains involved with President Barack Obama’s re-election campaign. But these days, the former San Antonio mayor and U.S. housing secretary also talks a lot about RADs, or radiation absorbed dosages, speaking in the same energetic, enthusiastic tone, as if explaining a new pension fund in which his company is investing. It’s almost like he’s not talking about cancer. Cisneros, who turned 65 last week and just published a book about aging, is fighting prostate cancer, among the most common diseases among men. This year, nearly 242,000 cases will be diagnosed and more than 28,000 men will die, according to the American Cancer Society. Prostate cancer is tough for men to talk about, especially in public, and perhaps more so for a man who has spent so much of his life in the public eye — for better and worse. The story is mostly about Cisneros’ battle with cancer and the way he’s talking about it, to encourage other men (especially men of color) to get checked for it as needed. 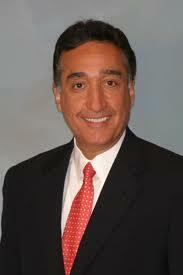 It’s all laudable and what you’d expect from a man like Cisneros. I highlighted this story partly for that but mostly because I can’t help think about what might have been whenever I read about Cisneros. I was at Trinity in the 80s when he was Mayor, and you could tell he was going places. Then he was tapped for HUD by President Clinton, and the sky was the limit – Governor, Senator, President, it was all possible. And then it all came tumbling down, and two decades later Mayor of San Antonio is the last elected office he’s held. It is of course impossible to know what might have happened if he hadn’t had that brush with the law in the 90s. I seriously doubt he’d have challenged Dubya in 1998, and 2002 might have been too tough a year for any Democrat. But who knows? I’ll say this much, if his health allows and he’s got it in mind to saddle up one more time, he still could be a hell of a candidate for Governor in 2014. He’s got the charisma, the post-political career success, the connections to raise a gazillion dollars, and maybe something to prove. Yeah, I know, I’m fantasizing, but as political fantasies go you could do a whole lot worse. plus Texas has had much lower foreclosure rate than the rest of the country but Cisneros sold out his own people with Lago Vista and got paid well to do it. With all of those years at HUD and then on the board of those 2 companies he was either too stupid to see the housing collapse or was getting paid too much to care. There are plenty of us who saw the collapse and the data supported it, those closest all saw what was going on but did not care.